In Pain? Dental Emergencies Welcome! Call Us! Now that the new year has arrived, it’s important that patients take a moment to consider how they can take advantage of their oral health in the new year. While many people are focusing on saving money and improving their overall health, starting with oral health is a great way to start. This is especially true if you’ve recently acquired benefits as apart of your dental insurance plan. More often than not, dental benefits go unused, so now is the perfect time to schedule your next checkups and cleanings at Dolfield Dental. Plus, those who are trying to fulfil their resolutions can more effectively do so while still maintaining good oral health in the process! Towards the end of the year, many people end up scrambling to use the rest of their remaining benefits. As a result, it becomes increasingly difficult to get scheduled as time slots become more and more limited. Scheduling appointments at the end of the year may not be suitable for everyone, which is why it’s always better to plan all of your doctor’s appointments at the beginning of the year when you have time. Making the most out of your insurance benefits does not only benefit your oral health. By having Dr. Milner examine your mouth and perform a routine cleaning, you can also reduce your risk of systemic disease later in life. Over the years, research has suggested that inflammation and infections caused by oral bacteria are linked to an increased risk of heart disease. For example, research has shown that bacteria involved in the development of periodontal disease can also elevate C-reactive proteins if it enters the bloodstream. This has long been considered a marker for inflammation in the blood vessels, which poses a higher risk for heart disease and stroke. Additionally, damaged, decaying, infected or missing teeth will only make it harder for you to maintain a healthy and balanced diet. If your resolution is to eat better, then part of that should include having the best oral health to complete that resolution. Studies have shown that those who visit the dentist regularly are more likely to have better oral health overall. Dental Insurance is Meant to Be Used! As we’ve mentioned in last year’s newsletter, a majority of dental insurance benefits do not get properly utilized. Scheduling now helps you avoid this issue and make use of the benefits you already paid into. 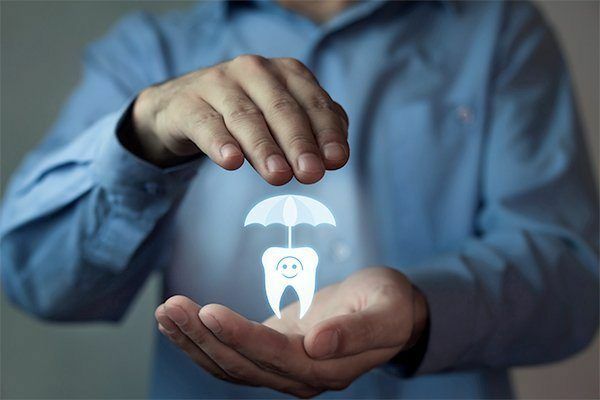 If you’re like most people, whose plans are to save money in 2019, taking the time to understand your insurance benefits and utilize them offers a win-win situation: you avoid wasting money by staying proactive and you prevent costly dental treatments as a result of dental disease. 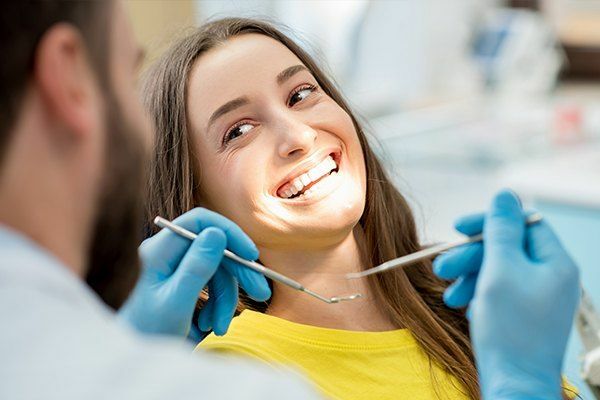 Keep in mind that your necessary treatments, including checkups and cleanings, are the only treatments you need to complete at a dental office to maintain optimal oral health. Daily oral care matters, but dental insurance is meant to make receiving this preventive care easy and affordable. In conclusion, we want patients at Dolfield Dental to understand that the sooner you get your routine appointment scheduled and completed, the better off you’ll be for the rest of the year. If you have questions about your coverage or would prefer to enroll into our membership dental plan instead, don’t hesitate to contact us or refer a friend or family member to our practice!